“The old will die and the young will forget,” David Ben-Gurion, first Israeli PM talking about the expelled Arab Palestinians. "... it is well to remember that the course of events in Palestine during the year 1948 may have wide repercussions. Nor should we lose sight of the fact that action taken now—or absence of action—will be recalled in literature, the Press, the schoolroom with hardly a break for another century." Cyril Falls, Chilele Professor of the History of War, Oxford. The Illustrated London News, April 10 1948. By 1948 no one was safe and Palestinian Arabs and Zionist colonists were fighting for Palestine; the British being caught in the middle. Arab irregulars were infiltrating across borders and attacking and looting Jewish settlements and property. The Haganah, etc, had begun to attack Palestinian villages, forcing out the inhabitants, looting and often destroying the villages. (Jewish veterans are beginning to talk about their part in these attacks.) 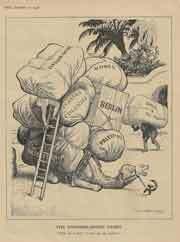 There was unrest also all around the globe and Herbert Morrison put demobilisation of troops back three months. In January all leave was cancelled and troops were already confined to barracks except when on duty. By February Jerusalem was surrounded and under siege as many Arab villages overlooked strategic roads and attacked anything on them. Convoys of food, water and medical supplies were being brought into Jerusalem at great risk to drivers and passengers. Some convoys were escorted by British troops but the Haganah preferred to be responsible for their own security. and enforcing the curfew by night." By early 1948 the forced depopulation of Arab villages was well underway and ethnic cleansing, the Nakba (Arabic for 'catastrophe') had begun. There was little resistance and reminders of Deir Yassin and other massacres terrified people into leaving though many thought it was only temporary. Some Palestinians not forced into exile were captured and put into concentration/labour camps. Many of the destroyed villages such as Lubya were planted over with trees to remove evidence of their existence and steady effort continues to expropriate the remains of Palestinian land. Ironically, the Jewish National Fund (JNF) frequently plant trees in memory of people who rescued Jews themselves from ethnic cleansing, such as the Portuguese Consul in Bordeaux, Aristides de Sousa Mendes who, like the Japanese diplomat, Chiune Sugihara, freely issued visas in disobedience to orders from the fascist dictator, Salazar. Their reward: destroyed careers and financial ruin. Parks are often created on sites of depopulated villages. Israel's Nakba Law seeks to prevent commemoration of this expulsion of the Palestinians. You can download iNakba app from Zochrot (free) detailing the whereabouts of destroyed villages. Testimonies of Palestinians and Zionists ('Zochrot' is Hebrew for 'Remembering'). Bishop Riah's experience is fairly typical though his family had a car and were able to get away in safety; most had to walk. Some refugees settled in Syria from where many are now fleeing yet again. The table below records deaths of British troops and Palestine Policemen but other significant incidents are also included. It is not exhaustive and can only give some idea of what was going on. The fighting was relentless and revenge and retaliation attacks neverending. Quotes come from the MOD Roll of Honour. Please let me know of any inaccuracies or details you can add. A detailed and referenced account of incidents can be found in Issa Nakhleh's Palestine Encyclopaedia. Jan 1 BC (British Constable) McKechnie (34) killed on duty, Ramleh. BC Golding died of wounds. 2 Arabs killed and 9 injured by shooting attack on café in Jaffa by Irgun. Haganah terrorists attacked a village on the slopes of Mount Carmel; 17 Arabs were killed and 33 wounded. Lifta occupied by terrorists after 6 villagers shot dead and others injured in café. Jan 2 Cpl Raymond Dyson MM (23) from Newcastle; 2/Roy Lincs; killed in Jewish terrorist attack, Beersheba. Jan 4 Jews in British Army uniforms entered Jaffa and blew up the Serai (the old Turkish Government House), HQ of the Arab National Committee, killing more than 40 persons and wounding 98 others. Jan 5 Sgt JT Woolley, 1st Airborne, Field Security Section, killed by Arab sniper; Stanton Street, Haifa. L/Bdr Clive Pendrich (20) from Newcastle-on-Tyne; RA; killed by sniper, Haifa. Bombing of Christian-owned Semiramis Hotel by Jewish terrorists. At least 25 civilians killed including Viscount de Tapia, the Spanish Consul. Lt George Dwyer (45) from Manchester, West Yorks Regt, killed in Arab ambush, Acre. Cpl Gordon Watts (18) from Alderton; REs; killed in Jewish terrorist attack, Jerusalem. Jan 7 14 Palestinian Arabs killed by bomb thrown by terrorists from police armoured car, Jaffa Gate; many wounded. Jan 8 BC Albert Holden (22) killed, Mount Zion. Cpl William Robinson (24) from Tardebridge, Worcs; Roy Sigs; died of wounds from terrorist attack on 7.1.47 on King George V Avenue, Haifa. Jan 9 BC Walter Thorley (20) killed, Mount Zion. Jan 10 BI (British Inspector) Jack Taylor killed, Mount Zion. Jan 11 BC Richard Marshall (20) died of wounds, Ramleh. Jan 12 BC Noel Andre (19) and BC Ron Crowther (25) killed. Pte John Hoatson (19) from Glasgow; 1/HLI; killed by sniper, Jerusalem. Jan 14 BC William March and several Jews killed by Arab bomb in Haifa; subsequent fighting kills and injures more Arabs and Jews. Paras restore order. Jan 16 Arab house blown up in Haifa; in the first, 8 children died. 'Convoy of 35' Haganah unit ambushed and killed by Arabs during an attempt to resupply the blockaded kibbutzim of Gush Etzion. The Sussex Regt was sent to investigate and were led to the bodies. Jan 17 Gdsmn Harold Sheldrake (20) from Colchester; Irish Guards; killed in terrorist attack on Acre/Safad Road. Jan 20 Settlement Yechiam attacked by Arabs; Middlesex Regiment platoon come to their aid; 25 Jews killed, many injured. Jan 22 BSgt (British Sergeant) Francis Maher (30) killed, Jerusalem. Jan 27 Cpl John Hand (20) from Lowdham, Nottingham; HQ 6 Abn Div RASC, killed by Arabs near Haifa. Jan 29 BC Thomas McCutcheon (21) killed, Mount Zion. BC Edward Vickers-Edwards (19) killed, Jerusalem. Feb 1 Palestine Post offices bombed by Arabs with assistance of British deserters, Eddie Brown and Peter Madison. Three people killed, many injured and much damage but the newspaper still managed to produce a single sheet the following day. Feb 3 BC Stanley Burgess (19) and BC Frederick Wellington (19) killed, Ramleh. BC Arthur Hart (23) killed. Feb 4 L/Cpl Thomas Jones (37) from Newington, Hull; Irish Guards; killed by Jews on the Tiberias/Rosh-Pinna Road. Feb 10 Sgt K Prince (22), Balham, Int Corps, killed on Palestine/Syrian border. twelve Arabs taken off a truck by terrorists near 120 RAF MU/ Ras el Ain and shot in nearby orange grove; 7 killed, 5 injured. Feb 11 Guardman J Balmer (19), Warrington, Irish Guards, killed on Palestine/Syrian border. Feb 12 Sgt John Sturtevant (25) from Luton; 8/9 Para Regt; killed by sniper in Haifa. Feb 15 Gnr R Crampton (20) from Banff, Canada, killed; Gnr Dunn badly injured by terrorists; Prophet's Steps, Haifa. Sasa: Haganah attacked the village, blowing up several houses with the people inside; many killed. Feb 17 BC David Brush (34) and BC Arthur Sitch (19) killed, Mount Zion. Feb 19 Cpl Frank Shakespeare (19); from Birmingham; 'B' Sqn 17th/21st Lancers; killed in terrorist attack, Manara. Pte Charles Whaler (19) from Edgbaston; Royal Warwicks; killed in terrorist attack, Jerusalem. Jewish convoy attacked by Arabs and a number killed or injured; 17th/21st Lancers and Irish Guards intervene and drive off Arabs. 22 Driver Robert Arno (20) from Bethnal Green, Royal Signals; Cpl A Attrill (20) from East Cowes, RASC; terrorist attack, King George V Ave, Jerusalem. Pte Fred Boulby (21) from Sheffield, 2/N Staffs Reg, killed by sniper on Mountain Rd, Haifa. 60 Jews killed by terrorist car bomb in Ben Yahuda Street; 123 injured. Arabs and two British deserters (Eddie Brown, a police captain who claimed that the Irgun had killed his brother and Cpl Peter Madison) were responsible. Feb 23 Two British Palestine Policemen shot in their beds by Jewish terrorists in Wallach hospital, one killed; one policeman murdered in similar attack in Hadassah Hospital, Jerusalem. Feb 24 BC Douglas Sinnock (23) killed, Ramleh. Feb 27 Witold Hulanicki and Stefan Arnold, murdered by Stern gang. Such assassinations then, as now, were not uncommon. Feb 28/29 28 British soldiers killed and 33 injured when train mined at Rehovoth. Eight Jews killed in attack at the Hayotzek iron foundry. Mar 3 Pte Dennis Morgan (19) from Aston, Birmingham; 2/Roy Warwicks; killed by Jewish sniper, Latrun. Terrorists blew up the Arab-owned Salameh building in Haifa (a 7 story block of apartments and shops) with an army lorry packed with explosives; 11 Arabs and 3 Armenians killed and 23 injured. Mar 4 Lt John Bailey (22) from Poynton, 1st Airborne REs. killed by Arab sniper when going to aid of a Jew. L/Cpl Walter Field (23), Royal Sigs; killed in terrorist attack on Ramullah-Latrun Road. Mar 6 Biyar Adas attacked; villagers killed; moshavs Adanim and Elisaham built on the land. Deir Ayub attacked, mostly destroyed and all inhabitants expelled. Mevo Choron built on the land. Mar 9 Pte Albert Clarke (21) from Aberdeen; HLI; killed in terrorist attack on Camp 87, Hadera. Mar 11 Pte Archibald Schoclar (20); 1/KOSB; terrorist attack on Jerusalem/Haifa Road. Jewish Agency bombed: the American consul general's Armenian-American driver parked and quickly left before the car exploded. The building was badly damaged and 12 people killed; almost 100 injured. Mar 13 Trooper Philip Russant (18) from Goodwick, Pembrokeshire; 17th/21st Lancers; killed. Mar 15 BC Sydney Croucher (22) killed by a booby trap. Mar 19 BC Owens killed. Mar 21/2 Pte H Beeston (19) from Silverdale (Lancs), 2/NStaffs, killed (on his birthday) by sniper, Jerusalem. 2/Lt William MacKinnon (20); from Tanglin, Singapore; killed in terrorist attack, Manshiya. Pte Douglas Williams (19) from Tunstall; 2/N Staffs; killed by sniper in Jerusalem. A housing block in Iraq Street in Haifa was blown up killing 17 and injuring 100 others. Four members of the Stern Gang had left two truck-loads of explosives in the street. Mar 22 BC Dennis Hooper (23) and BC Raymond Murphy killed. Mar 26 Pte Kenneth Hewitt (18) from Manchester; 2/3 Para Regt; killed by terrorists, Haifa. 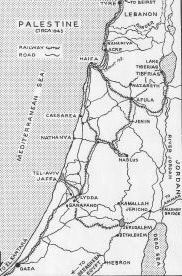 Mar 27 The Battle for Bethlehem: Arabs attacked Jewish convoy taking supplies to Kfar Etzion. Sgmn Joseph Rich (20) from Leytonstone; 6 Abn Div Sigs; killed by sniper, Haifa. Mar 29 Pre Walter Deacon (20) from Wolverhampton; killed by vehicle mine, Jerusalem. Mar 31 The Cairo-Haifa Express mined, for the second time in a month, near Benyamina, killing 40 persons and wounding 60 others. 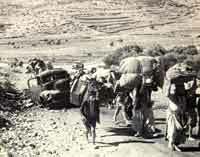 Apr During April Palestinian Arabs were evacuated from Haifa. Qalunya: attacked, destroyed and depopulated; many villagers killed. Apr 5 Pte James Paton (18) from Gorbals, Glasgow; 1/HLI; killed in terrorist attack, Jerusalem. Cfn Thomas Birks (19) from Hebburn, (Tyneside), REME, murdered by a terrorist as he lay in a hospital bed recovering from a minor injury, Jerusalem. Apr 6-12 Haganah launched offensive to break the siege of Jerusalem and Al Qastal which overlooked the Jaffa/Jerusalem road was finally taken after bitter fighting. A Jerusalem suburb was built on the taken land. Apr 7 BSgt Richard Jones (34) PP, died of wounds inflicted 28.3.48. Capt Nigel Coppin (30) from Plymouth; Duke of Cornwall's LI; killed by terrorists. Tpr John Lacey (20) from Birkenhead; 'HQ Sqn 17th/21st Lancers; killed in terrorist attack. Apr 8 Cpl K O'Dwyer; 147 Abn Pk Sqn, REs; killed by sniper, Haifa. 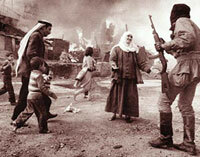 Apr 9 Deir Yassin attacked and more than 100 villagers killed, many in cold blood; many girls and women raped. It was an impetus for the Palestinian exodus and Haganah loudspeakers would later remind other Arab villages and towns of the atrocity and what could happen if they resisted. In 2009 an employee at Yad Vashem was sacked for talking about the massacre. Abu Shusha, Haifa occupied by Zionist forces and completely destroyed. Apr 10 Dvr William France (20) from Hodnet; RASC; killed when Jewish terrorist attacked three soldiers for their arms in a café in Rehovoth. Apr 12 Nasr al Din: depopulated, occupied and destroyed. Many villagers massacred by Golani Brigade. Apr 13 Rfn Thomas Hutton (24) from Dumbarton; Cameronians; killed in terrorist attack on the Mount Scopus Road. Massacre by Arabs of medical staff in convoy to Hadassah Hospital; 79 killed. Claimed to be revenge for massacre at Deir Yassin and allegations that convoy carrying weapons to their observation post in the hospital which was on top of a hill. Apr 15 Tprs B Button (18) from Southend, William Cantley (19) from Edinburgh and Lawrence Innes (19) from Wandsworth, killed; Tpr Eric Burns (18) from Laydon, wounded (died on 19.4.48); 17th/21st Lancers; Jewish terrorist attack on armoured rail cars, Lydda. 17 Gnr David Batsman (20) from Stepney, Bdr Horace James (24) from Barnsley and Gnr Charles McCluskey (20) from Woolwich; all Royal Artillery: killed "when Jews blew up an ammunition train going from Athlit to Rafah. Mines were detonated under the wagon behind the engine, and behind and in front of the train. Three British soldiers were killed and four wounded. (Ref: WO 275/66)" MOD | see also Attack at Binyamina. Saris: village attacked and destroyed; some inhabitants killed, the rest flee. Shoresh and Sho'eva built on the village land. Apr 19 Fourteen Arabs killed in Tiberias when a house was blown up by terrorists. Dvr Douglas Furseman (19) from Newport, L/Cpl Kenneth Handisides (20) from West Hartlepool, and Sgmn R Parkes; Royal Sigs; killed in terrorist attack Jaffa/Tel Aviv. Apr 21 BSgt Raymond Hoddinott (22) and BC Harold Mudd (27) killed. Apr 23 L/Cpl Joseph Graves (27) from Lincoln; 'A'Sqn 17th/21st Lancers; terrorist attack (died of wounds). Haifa occupied. Apr 25 Gnr William Carrington (18) from Ipswich; Gnr Charles Corbett (21) from Birmingham; L/Bdr Gerald Jones (19) from Droitwich; Gnr Thomas Kedward (18) from Middlesburgh; killed in attack on ammo train near Lydda. Main attack on Jaffa, Haganah, Palmach, Irgun and Stern. Apr 28 BC Anthony Gunter (20) killed. Cpl Cyril Short (25) from Brighton, 4/7 Royal Dragoon Guards; killed by sniper, Jaffa. May 1 Cpl James Bennett (36), RASC; killed at Kfar Etzion when convoy attacked. May 2 Ayn al Zaytoun: attacked, occupied, mostly destroyed. Many villagers killed. May 3 Roy Farran's brother, Rex, murdered by letter bomb sent by Yaakov Heruti. Pathé clip of Rex Farran's funeral 1.03mins, silent. 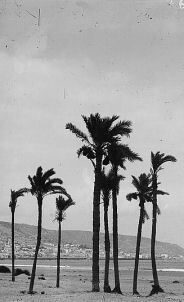 May 6 Aqir, near Ramle, cleared of its inhabitants and mostly destroyed by Giva'ti troops. May 11 Beit Daras: over some days the village was attacked, fought back but was eventually depopulated and destroyed; it is alleged that over 200 villagers were killed. Ramzy Baroud's grandparents, Mariyam and Mohammed were just two of them. Khadija was one of the refugees who fled to Khan Younis, Gaza. 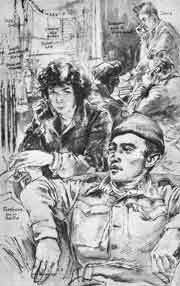 May 12 Beisan occupied in Operation Gideon; inhabitants driven out. At least fifty Jews who had surrendered to the Arab Legion killed at Gush Etzion; said to be in reprisal for Deir Yassin. Jaffa occupied after fierce battle with many lives lost on both sides. Najd inhabitants forced out and the town of Sderot built. May 14 General Sir Alan Cunningham, the last High Commissioner in Palestine, left Haifa in the cruiser, Euryalus, ending the British Mandate. Abu Shusha, Ramle attacked by Giva'ti Brigade and more than 60 inhabitants massacred. State of Israel unilaterally proclaimed at midnight. Lebanon, Syria, Iraq, Egypt, Transjordan, Holy War Army, Arab Liberation Army, and local Arabs attack the new Jewish state. May 16 Nebi Yusha attacked and inhabitants forced into exile. May 21 Tantura attacked and destroyed. Over 250 selected Palestinians summarily executed in groups under the orders of Shimson Mashvitz; soldiers ran amok in the village. The carnage was halted by Yaacov Epstein, the head of Zikhron Yaacov settlement. Testimonies The beach where bodies were buried is now a resort. Presumably it's not a good idea to dig too far down. May 22 BSgt Osmond Arnold (36) killed, Beit Jala. Egyptian Spitfires destroy RAF Spitfires at Ramat David, apparently by mistake; 4 airmen killed. Return fire brought down 3 attacking aircraft. May 25 Al Khisas occupied after villagers terrified into fleeing. May 30 Al-Mazar depopulated and occupied. Al Lajjun: Haganah raided village, killing many and blowing up homes. Villagers fled. Jun 20 The Atalena Affair: violent showdown between the Israel Defense Forces under Ben-Gurion and the Irgun resulting in the absorption of most of the Irgun and Stern gangs into the IDF. Jun 30 Most of the remaining British troops leave Palestine although a few stayed on until August. Jul 12 Dahamsh Mosque massacre. Zionist fighters kill 120-150 refugees sheltering in a mosque in Lydda. Jul 15 Depopulation and destruction of Al-Damun by Zionist forces. The attack is described by Hussein Loubani. Jul 16 Depopulation and destruction of Lubya. South Africa Forest is built over the remains. Saffuriya inhabitants forced out and the village mostly destroyed and planted over with trees. Oct 31 Christian village of Biram attacked; inhabitants expelled. The UN endeavoured to negotiate various truces without much success. On 17th September 1948 the UN representatives, Count Bernadotte and Colonel André Sérot were murdered by the Stern Gang on the orders of their leaders who included Yitzhak Shamir. a future Israeli Prime Minister. Thousands of Jews, including Colonel André Sérot's wife who had been in Dachau, owed their lives to Count Bernadotte who did all he could to rescue them from concentration camps. The fighting between Arabs and Jews, and the attacks on Palestinian villages (including the al-Dawayima massacre near Hebron) continued into 1949 by which time many people had been killed. Zionists fought under strong leadership with plenty of support in cash and personnel from, particularly, the US; Arab forces were fragmented under poor leaders, each with their own agenda: King Abdullah of Jordan was keen to increase his territory and the Egyptians likewise. Jewish troops and arms were being replenished but Arab men and matériel diminished. By the end of the war, over 700,000 Palestinian Arabs had been violently forced into exile  the Nakba (catastrophe). "...it being clearly understood that nothing shall be done which may prejudice the civil and religious rights of existing non-Jewish communities in Palestine." part of the Balfour letter which is rarely mentioned. no choice but to leave.